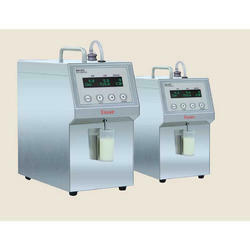 Milk Analyzer based on Ultrasonic Technology to accurately Measure Display Fat, Solids Non-Fat (SNF), Corrected Lactometer Reading (CLR) Added Water in Milk Samples. Milk Analyzer based on Ultrasonic Technology to accurately Measure & Display Fat, Solids Non-Fat (SNF), Corrected Lactometer Reading (CLR) & Added Water in Milk Samples. MA-815 Milk Analyzer Machine is setting a new standard in milk analysis. Based on ultrasonic technology, the device is made for superior performance.